Eidetic Neo Pro contains a full offering OpenType glyph ranges and typographic features: Smallcaps, Ordinals, Proportional Oldstyle Figures, Proportional Lining Figures, Tabular Oldstyle Figures, Tabular Lining Figures, Smallcaps Figures, Scientific Superiors & Inferiors, Automatic Fractions (Numerators & Denominators), and a handful of Ornaments. The two Italics also contain a series of ‘s’ ligatures. :: Accessing the features requires an application that supports OpenType typographic features, such as Adobe InDesign and Illustrator. 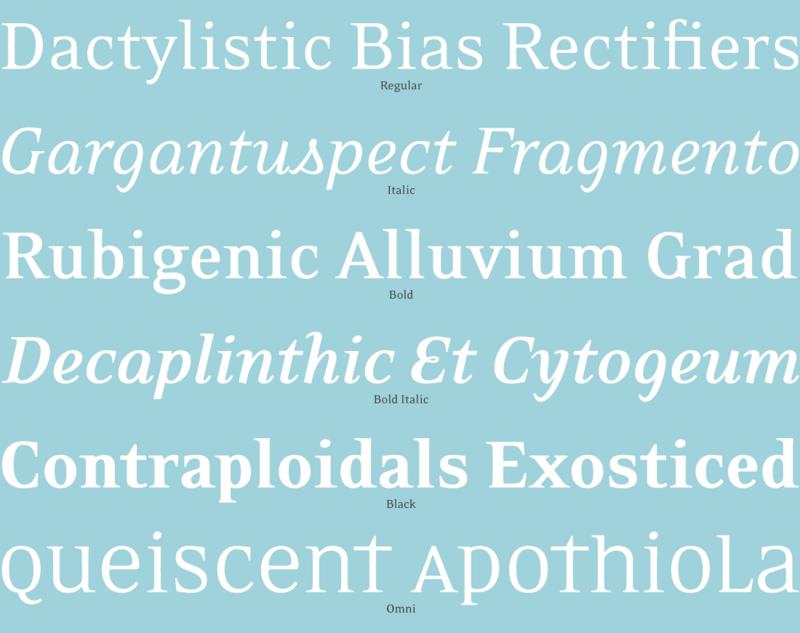 The Eidetic Neo fonts include: Western and Central European characters, ligatures, and more.